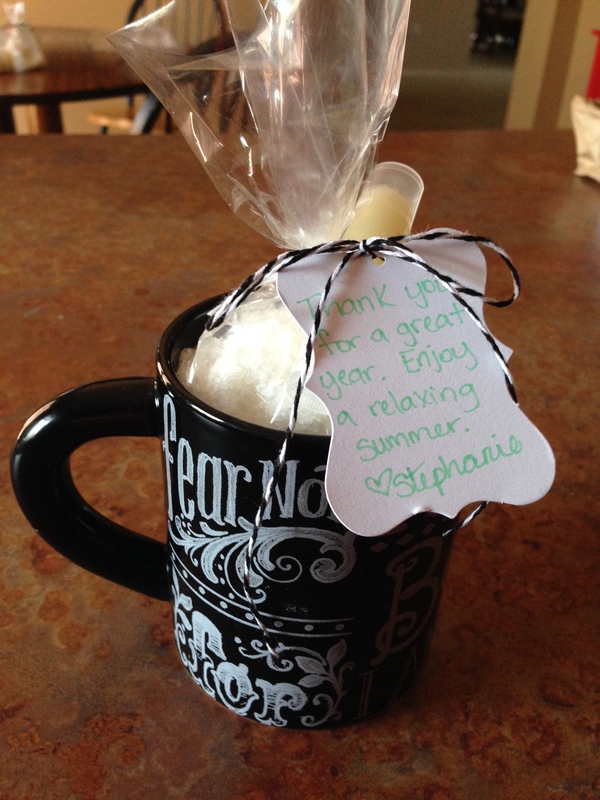 The School year is almost over and EVERY teacher is in need of some serious relaxation time!! Lets gift our teachers with some relaxation tools. 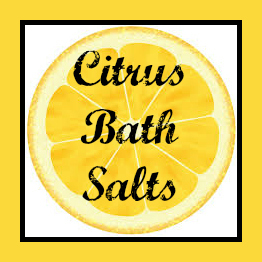 Whip up this great Lavender Bath Salt and put it inside a mug, with a tea bag and a chap stick (I will share the chap stick recipe in another post). 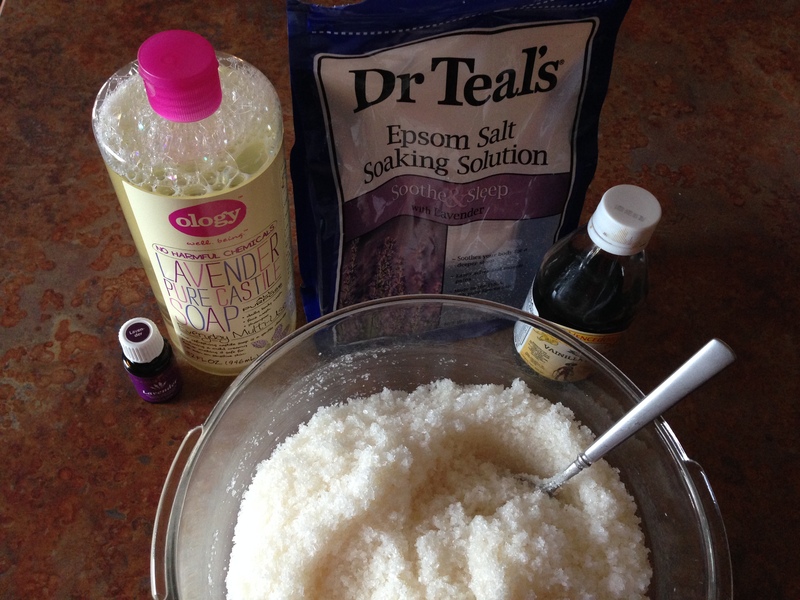 Mix the soap, vanilla and Lavender oil together, then add the Epsom salt and mix well! 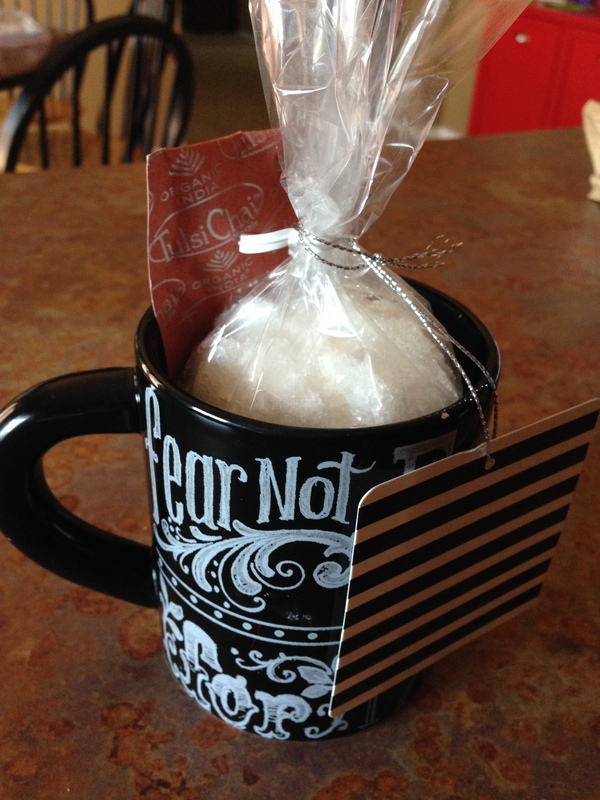 I used clear treat bags to scoop it in and the put it in the mug. This is my favorite bath salt! It is so refreshing and wakes me up on a groggy morning. Mix the soap and oils. 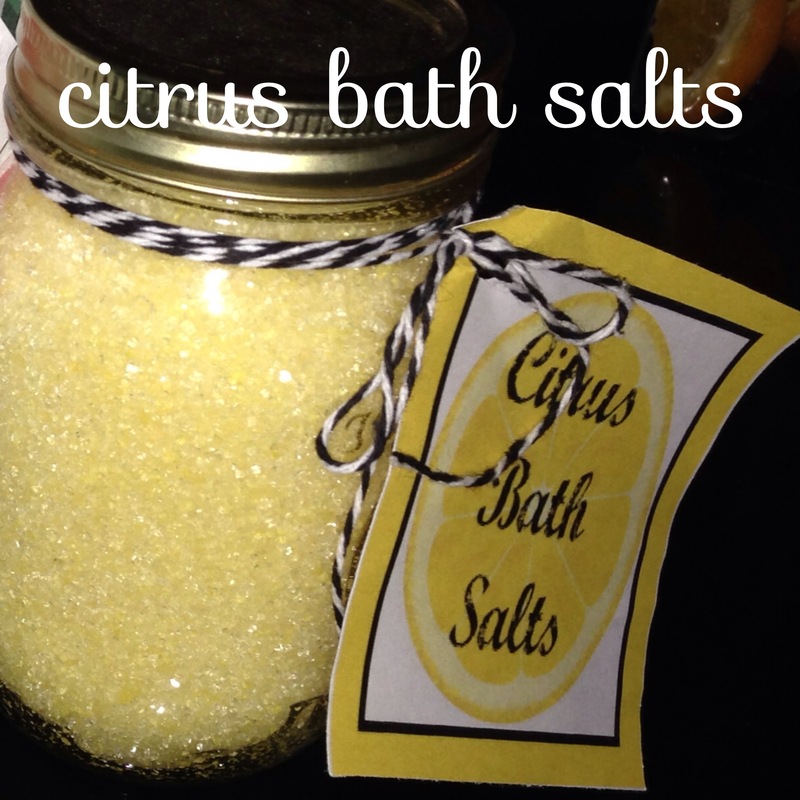 Pour mixture over Epsom salts. Mix well. Give as a gift or enjoy for yourself!